Recently I have noticed one reoccurring conversation that I have with brides and grooms; the debate over whether or not renting china is worth it for their big day. Each and every time I have this conversation I give them the exact same answer, ABSOLUTELY (and I promise you I’m not just saying that to make a sale). Sure if you are having a backyard BBQ or small family get-together, plastic place settings would not be the worst idea. However, when it comes to events such as weddings, going with the real thing is well worth the price; which is usually even better than people expect. When this conversation comes around, I like to give my clients four main points to consider when it comes to plastic place settings. There is not much difference in the pricing between the two. In this day and age, we have been moving past the tradition of the parents of the bride and groom paying for the majority (if not all) of the wedding. Trust me; I am just as unhappy as you are about this news. 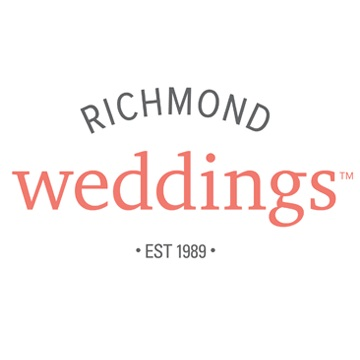 With more and more couples having to fund their entire wedding, cutting cost and dialing back on items has become a necessity in most cases. One of the first items couples usually consider tossing out is the rental of china place settings; and while I can see why this would be, I hate to break it to you but the savings are not all they’re hyped up to be. In order to give clients an idea of the price differences between the two, we took the liberty of making a price comparison sheet to show our prices compared to some of the most popular suppliers of plastic place settings. While there is only a slight difference in price, remember, there is a big difference in quality. 2. Sure they don’t look much different, but the quality of the item is. I know that most people are on a constant hunt for the best deal they can get for something. This can work for some items, no problem, but with others the quality of the item is just too important to settle on taking the cheapest option. The place settings at your wedding should be considered one of these items! Below I attached a photo that shows a plastic place setting (left) and china place setting (right). Honestly, from a distance there doesn’t look to be much of a difference right? I will give them this, plastic place settings can look good, but the second you put one in your hands the difference between the two is immediately recognizable. With the plastic there is a HUGE difference, and, remember, there is little to no savings going this route over rental china, glassware, and stainless flatware. The plates, which honestly are the least of your worries, will be flimsier and harder for people to carry their food on; especially if you are planning on having a pretty heavy menu at your wedding. Even worse, the plastic glassware is usually sharp, rough, and just plain unpleasant to drink out of. They are also much easier to knock over or be spilled. However, my least favorite of the bunch is the flatware. These are so thin you can literally see right through them! Imagine sitting down, all ready to eat some delicious food, and you can barely even cut it or pick it up. The quality of these plastic place settings is worse than I think most people imagine. When looking at them they may seem like an easy, cheap option; but I promise you the second you pick one of them up you might reconsider the choice of plastic. 3. Plastic place settings are way out of place at upscale events. Like I said earlier on, for a casual, laid back event I would not even bat an eye at plastic place settings. Now if I was at a nice, beautiful wedding…I would question why I am being given plastic plates to enjoy my nice, catered dinner. They just do not belong! Let’s be honest, one of the things that the guests look forward to the most at weddings is the food. Do you really want them to be eating it off of a plastic plate using plastic flatware? I mean think about it, you most likely paid $30-$50 per guest for that food! 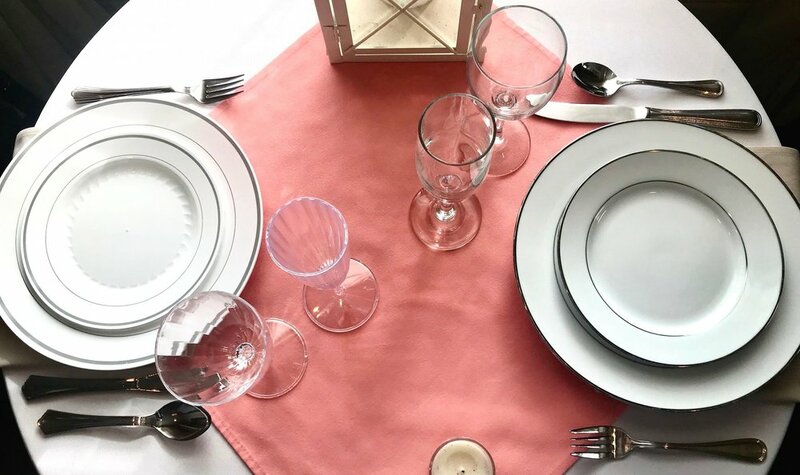 I know china seems like an easy item to quickly trim from your budget, however, using plastic place settings will quickly bring your special, upscale, event down a notch or two. Alright I know this last point might matter more to some than others, but I still believe it is an important factor to point out. In the past few decades, plastic production has done nothing but increase when we should be trying our best to decrease it! Don’t worry, I am not going to sit here and bore you with a bunch of facts about pollution and helping our planet; but I will say that purchasing over 100 plastic place settings for one event is definitely not going to help the situation.